Fresh sanctions against North Korea secured by Britain to ramp up pressure on the regime will be signed off by European ministers, Boris Johnson has said. Foreign ministers meeting in Luxembourg will back plans to cut off sources of cash that prop up Kim Jong-un’s nuclear missile programmes. A ban on EU investment into the rogue state will be expanded and exports of European oil ended. More names will be added to the list of regime officials and companies that are hit by asset freezes and travel bans. A review of the banned luxury goods lists will be carried out and the cap on personal payments sent to North Korea reduced from 15,000 to 5,000 euro. Restrictions on North Korean workers in the EU will also be bolstered as part of the plans to curb the money that makes its way back to the regime, although there are none based in Britain. Mr Johnson said increasing economic pressure on Pyongyang was the best way to curb its illegal missile programme. 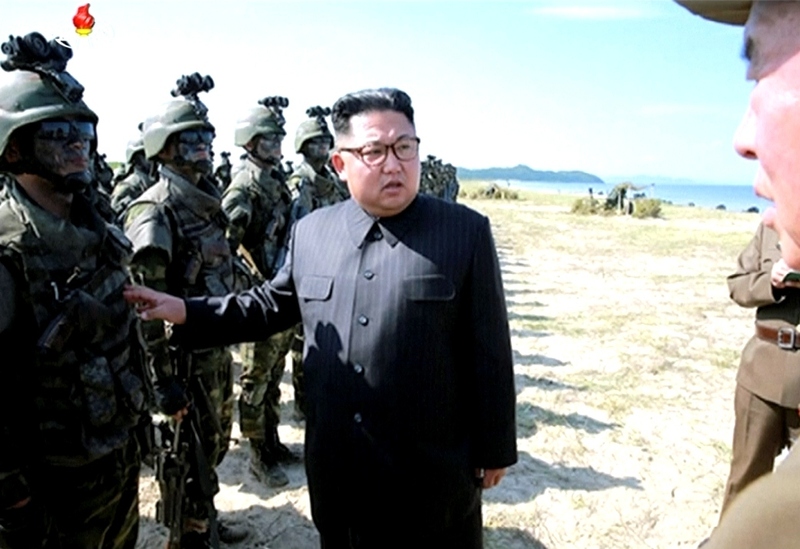 The Foreign Secretary said: “North Korea continues to pose an unacceptable threat to the international community, which is why the UK, working closely with our European allies, has secured a set of stringent new sanctions upon the regime. “As I have said before, the North Korean regime must bear full responsibility for the measures that the international community is enacting against it, including these sanctions.